Alex can vividly remember attending TomorrowWorld in 2014 and seeing some of the world’s top DJs perform. He danced for three straight days and made tons of new friends. And he was essentially hooked and determined to become a DJ. 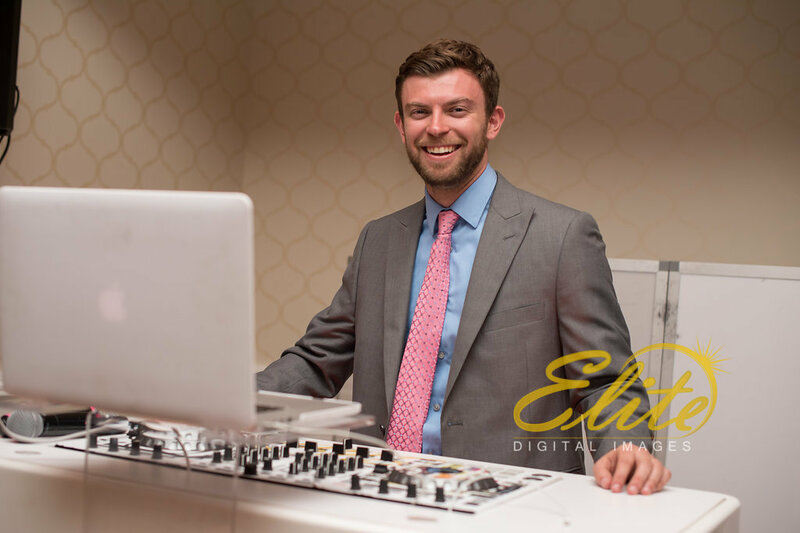 To this day his influences include “Popular DJs: Kaskade, Audien(both very melodious and catchy), and moombahton (fusion of house music and reggaeton) producer Dillon Francis.” Soon after TomorrowWorld, Alex started mixing for us and his career was born. 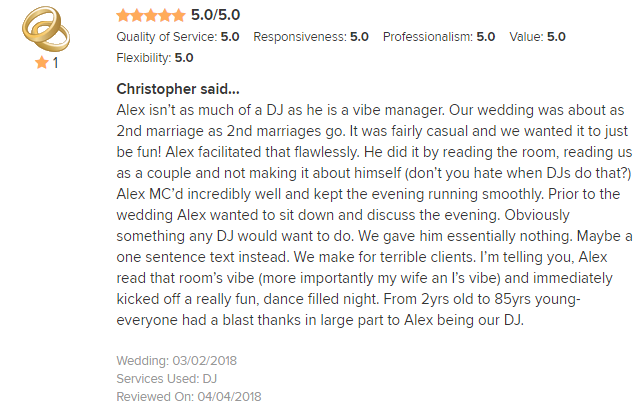 Alex loves DJing any type of party. 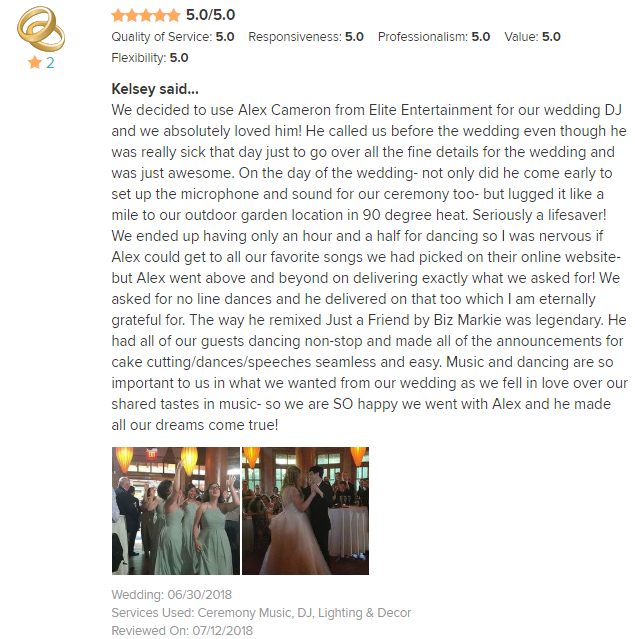 From weddings to Sweet 16s or proms if there’s a dance floor that needs filling Alex wants to be there. His MC skills started at a young age, as he participated in musicals throughout high school. He also played baseball in school and is a big sports fan (Yankees, Jets). In his free time he loves to attend festivals, workout and play baseball. 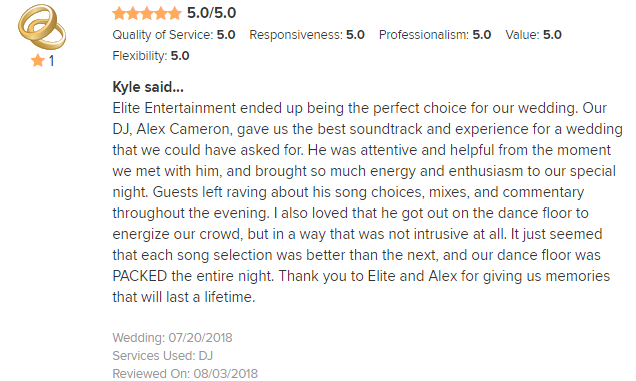 Alex loved his time mixing with Elite because, “I had the advantage of working with all of the Elite Staff and learned something new and unique from each guy.” Now that he’s MCing he uses those experiences to create his own version of a great time. Check out Alex in action!